Sell My House Fast Is This My Only Option While I Am In Foreclosure? Do you think sell my house fast is the only option left for me to stop foreclosure? If this is your question then let me tell you, there are few more options that you can try before you take a decision about selling your house. Nobody wants to miss their mortgage payment but still there are many Americans who are facing foreclosure problem and many of them are not even aware of their options. Homeowners can face the legal action from the lender side if they don’t pay the mortgage payment on time. It is true that the foreclosure can turn your life into hell. All you can do is to remember that it’s not only happening to you, but with many people in America. You still have the options that you can try and save yourself from becoming the defaulter. I know in this kind of situation you can’t stop yourself from taking stress. Research proves that when you take action while you are panicking, you are only making your situation worse. So trust me, be calm, take a deep breathe and think about your options. “I have to sell my house fast”, before you think that, consider all the options that we are suggesting you a head. Good friends and family members always stand with you in your bad time. There is no shame to ask for help and if you can manage a loan from any of them, then you can easily pay your mortgage payment and there will be no need to sell a house. Sometimes sell my house fast is not what you want. You are selling it only because you need money, for example, for foreclosure. But before you do sell, you can contact with your lender and can change your payback mortgage plan. If the mortgage installment is $1000, you can adjust this amount into your other mortgage installments. It may increase the amount of the other installments, but at least you don’t need to sell the house. You can talk to the lender and ask them if they can miss that month and can take that installment at the end or after all the payments. There are many loan providers available in Texas. You can try to take a loan from them. You may face problem when they ask for guarantee but you can try this option before selling your house. This is the last option when nothings workout for you. You can also sell your property before foreclosure, If you do so you will have a chance to sell the house at a better price. You have to talk to the lender before you plan to sell a house. 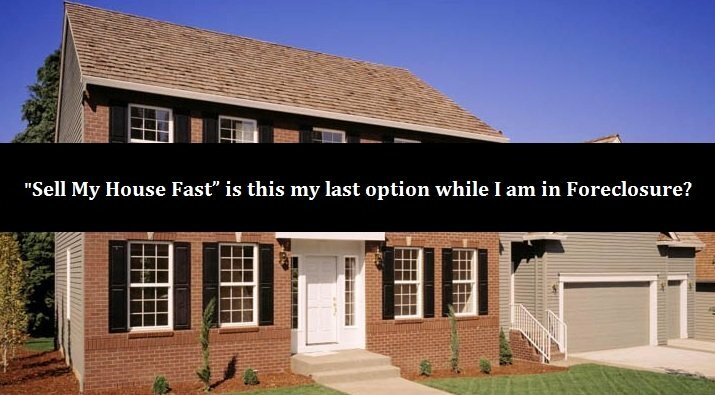 I want to sell my house fast, when you plan that, the best way to sell a house fast is to sell it to a buyer. Daniel Cabrera is a buyer who buys houses in San Antonio and in some other cities of Texas. He is running a business by the name of Sell My House Fast SA TX. No matter if your house is in foreclosure, you are relocating or you need money for a new house, he will help you and will pay the mortgage of the house. Sell your house to Daniel Cabrera for cash and change your stressful situation whenever you want.